Coley Park Farm is believed to have existed for at least 400 years in some form or another. Originally known as Great Coley Farm it was instrumental in supplying farm produce for the adjacent manor house. Note: The sensus information for former residents of Coley Park Farm has moved to its own page. Click HERE to visit. Coley Park Farm was once the location of a grand manor house called Coley House, but commonly known as Vachell House whilst it was owned by the Vachell family. 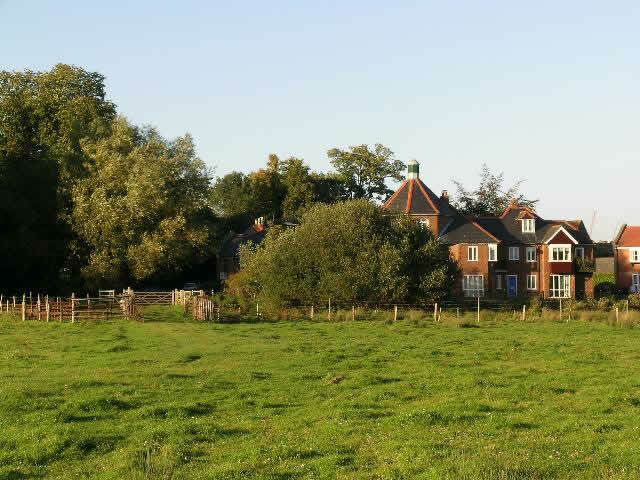 The house was located just to the west of the farm and close to the Holy Brook stream. It was built around c1550-60 by Thomas Vachell. Some of the outbuildings of that era still survive, namely the round brick dovecote (1553), laundry, coach house and stables (1610), barn (1619) and some cottages. There are two bridges over the Holy Brook which may pre-date these buildings. In the early 1800s, Vachell House was replaced by a new house on higher ground built by businessman John McConnell. This house is the mansion we can still see today from Wensley Road. It was named Coley House, but is today commonly referred to as the 'Mansion' or 'Mansion House'. Some materials were salvaged from the old ruined Vachell House to re-use in the new structure. The rest of Vachell House was eventually demolished and leveled. Today, the area is partly covered by allotment gardens. The estates were purchased by John Berkeley Monck in 1810. Soon after the new Coley House was built, trees were thickly planted around the farm to hide it from the wonderful views enjoyed from the front of Coley House. Much of the original formal manicured gardens (popular by the mid-sixteenth century) which covered a large area from the farm to where Heron Way is today, were ploughed and levelled, and were replaced by grass covered lawns which bloomed with the colour of buttercups and daisies in early summer. Today, allotments, housing, schools and a church have all but swallowed up this once large area of open space. The allotments are located where the original house and gardens once were. The woods around the farm now sport some sixty foot tall trees and has become dense with undergrowth and woodland plants. The tree-top canopy being a favourite nesting home for the local rooks in spring. Restored in the early 1990s, the Kitchen Garden surrounded by its 10 foot (3 metre) high red brick wall and the Gardener's Cottage in the wall, have survived and are both Heritage Listed. The cottage has a 19th century facade, but the building is much older. The front of the cottage being accessible from inside the walled garden, with the rear facing the Holy Brook on the outside of the wall (but this may have been reversed in the early days). On the right side of the cottage is a wash house. A very early track used to lead from Reading Town along Pigney Lane, passing the then Little Coley Farm (near St Saviours Church), then up the hill towards the Holy Brook (now St Saviours Road) and follow alongside the stream to Coley Park Farm. The local housing estate breached the wall in the 1980s and part of Arbour Close now lies inside the walls of the original garden. In the meadows just south of Coley Park Farm and accessible from the farm was the location of the Volunteer Rifle Range. The targets and butts were located at the farm end of the range. It had a maximum range of 900 yards. A Rifle Hut was located adjacent to the 600 yard firing position. During the late 1850's there was growing apprehension as to the prospects of a French invasion of Great Britain. On 12 May 1859, the British Government issued a circular sanctioning the formation of the Volunteer Corps. In 1881 the British Army was reorganised into territorial regiments with regular, militia and volunteer battalions. It is assumed the Volunteer Rifle Range was first commissioned around 1860 and closed in 1908, and was used primarily by the Reading Volunteer Corps. During the late 1800's and into the early 1900's the farm was run by Matthew Cundell and later by his second son Leonard Cundell (known as Len). During this time the farm and nearby meadows was always referred to by the locals as 'The Cundells'. Len Cundell later became a well-known horse trainer. (See story later on this page). By c1910 the farm was being managed by John Bucknell (locally know as Johnny), however the estate was still owned by the Monck family. Mainly run as a dairy farm, some pigs and sheep were later introduced. Produce being sold to neighbouring areas such as Old Coley, as well as supplying the nearby manor house. John (Johnny) Bucknell employed many locals on a seasonal basis for potato picking etc. During the 1920's when unemployment was at its peak, it has been noted that John Bucknell turned a blind eye to 'moonlighting' and even let them have time off to sign on the dole. John Bucknell was very aware of the plight of the poor living in slums in old Coley. His milkman (Mr B. Johnny Billy) used to take his pony and cart, which had two milk churns either side, and go around with the milk and sell it by the pint, as the poor families had no facilities for storing food of any kind. Occasionally Johnny Billy would supply skimmed milk (with the cream removed) and this was sold at a penny a pint. A highlight of every year was the Christmas Breakfast. This was paid for by John Bucknell and other local businessmen, and held at the local St Saviours Church hall. The lucky families were chosen by ballot held in early December at St Saviours Church. Most of the food was delivered by carts from Bucknell's farm. Children were presented with a bag of fruit, biscuits and sweets on leaving. In 1937, John Bucknell took possession of the remaining Coley estates, including Coley House which was later let to the Ministry of Agriculture around 1945/6. 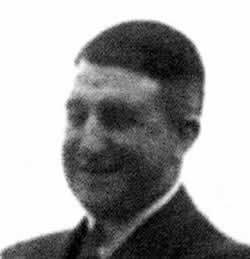 John Bucknell died in May 1954, but the farm remained with the family. By the 1970's many of the farm's original buildings were not in use and some of the fine farmhouses and stables dating from around 1610 were becoming overgrown and in need of repairs. After the closure of Coley Park Farm and the later restoration of some remaining farm buildings, the area has become a very exclusive retreat. The lane has been named 'The Old Lane' and where the road forks at the farm, the left lane has been named 'Yew Lane' and the right lane towards the west bridge over the Holy Brook is called 'The Brookmill'. Most of the restored farm buildings and even the two old bridges crossing over the Holy Brook are now Heritage listed. 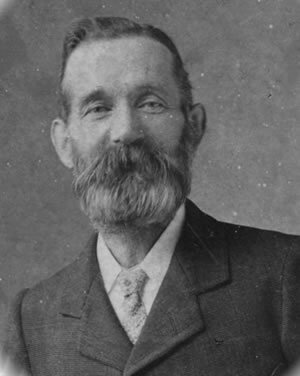 In the course of investigating my family history I have discovered that my great grandfather, Albert James Booker, was head gardener at Coley Park Farm in 1891, aged 37. I think he must have been there until he retired, as he was living there in 1901. He had 13 children, one of whom was my grandmother. He was allowed to help himself to the vegetables he grew in the vegetable garden - one of the perks of the job. At the time of the 1901 census, Albert Booker was designated 'Head Gardener'. Two of his seven sons (he had thirteen children in total) were apparently working with him; Albert Joseph, aged 21, as gardener and Francis Victor, aged 16, as under-gardener. By 1911, when he was aged 56, Albert was employed as a gardener/domestic in Chiswick, London. Neither of his sons continued their employment at Coley Park. Leonard Ambrose Cundell was born in Berkshire, England in 1879. He was the second son of farmer and butcher Matthew Henry Cundell and Emma Willis of Coley Park Farm. Len, as he was known, was one of seven children and in 1901 at the age of twenty one years was left to work the family farm in the years of the depression, which had started in the mid 1800s and lasted until almost the start of the Great War in 1914. Despite the lengthy depression he became a keen all-round sportsman and amateur horse rider as well as a talented racehorse trainer. Unfortunately in 1937, before the start of the Second World War, and at the height of his career, his house and stables located at Chilton in Oxfordshire were compulsorily purchased by the government; the land being required for the war effort and RAF Harwell was established on the site. Despite strenuous efforts to keep the buildings and land all the buildings were subsequently demolished. The stables were eventually relocated to a yard in Aston Tirrold named Blewburton Stables. His best trained horse was Noble Star who, as a four year old, won the Cesarewitch Handicap at Newmarket, England, in 1931. Len Cundell was instrumental in helping other members of his family - his cousins, Frank and Ken Cundell and nephew, Jack Waugh in becoming racehorse trainers. Ken Cundell was one of the first to recognise Lester Piggot's outstanding talents. Following the outbreak of WWII, sadly the horses could no longer be kept, with some being given away to farmers and the remainder shot. Len died at Blewburton Hall, Aston Tirrold, just before Christmas on Friday December 15, 1939 at the age of 60. My Grandad, John Weller or sometimes known as Jack, lived with his wife Annie Harriet and family including my Dad John, in North Lodge at Coley Park during the 1920s to 40's. He worked as a farm labourer for Johnny Bucknell and did the ploughing with his two horses, Jumbo and Violet. If I remember correctly, I also have pictures of him ploughing and showing his horses and wagons at shows. I also have pictures of Christmas parties at North Lodge where they all dressed up. I can remember Mum walking us over to North Lodge down Coley Avenue and down the back lane. We had great fun around the farm and in the park which I remember had some lovely Horse Chestnut Trees , good 'conkers' as well. Some names in the farm cottages are familiar; Oram, and Clark. I think there was a Chauffer's cottage also. Poaching was still around in the first half of the 20th century due to the areas semi-rural position. Coley Park Farm therefore got an unfair share due to the high unemployment and poverty from the nearby areas of Coley. In fact the favourite animal in many a house in Coley was the ferret, which was could catch many a rabbit and occassionaly the prize pheasant. Most of the prominent poachers were known to the community and probably to John Bucknell also. My great grandad, Earnest Gutteridge who lived in Wolseley Street, and who may well be remembered as frequently sitting on the wall of the church (St. Saviours) with a bottle in his hand. He had a son named John who was a local poacher. Now John and maybe with Earnest, guaranteed the family had a piece of meat or fish on the table each week. What was not required at home was offerred for a few bob to other folk (reminds me of 'Greengrass' from the TV series Heartbeat). Diane goes on to say, that her uncle John Gutteridge was not the brightest of men - but could hold his own. It was told down the family that John had been arrested and was one of the first to jump train, whilst still cuffed and in police custody, when being transported from Reading to Oxford, then went on the run. Not surprising that later John (and his brother Jim) ended up working for Bucknell's farm and probably better to have the poacher on side, so to speak. During the 1940's and into the 1950's, John delivered the milk in churns from the farm amongst other duties. I used to play on and around the bridge over the Holy Brook and also did school holiday work for John Bucknell, picking vegetables etc. on the farm, back in the 1940's. We played a lot in the smaller barn behind the coach house where we 'took in' what we had picked - apart from what found it's way into our saddle bags! 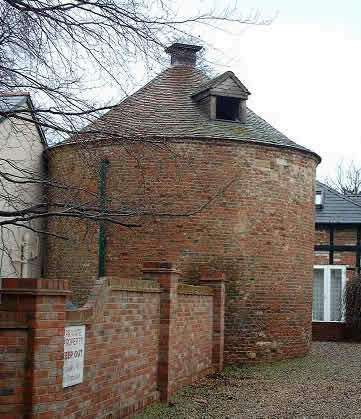 The Dovecote had nesting boxes for over a thousand pairs of doves and used to bear the inscription AD 1553 TV. The ancient clock on the coach house was restored in 1975 by Mr Francis, son of a Coley Park Farm shepherd. The bell in the clock is dated '1681 Thomas Vachell'. It probably isn't working anymore. They turned the chimes down to 'not annoy folk' so I can't hear them anymore from my home. I don't walk down there now the farm and (old) cottages aren't there. The last in line of the Monck family was George Monck the last owner of Coley Park who left all those historic buildings to Bailiff Wiiliam Oram. The buildings later passed to Bailiff William Clarke around 1940 who was married to William Oram's daughter, Florence Amelia Oram. I don't know who had them after that. Mr Batstone lived in Rose Cottage, and I believe Mr Everard looked after the Kitchen Gardens. My father and uncle used to run a business at the farm called Robinson Bros. (Fencing) Ltd in the 60s and 70's from one of the old sheds which, if memory serves, was located in a courtyard to the east of the barn. I often went there when I was a kid and spent many a happy hour on the cattle bridge over Holy Brook staring at the water. I can't remember the exact dates the business was located there, but it employed a small number of people. The business came to an end around 1977 - 78 when it went bankrupt. Click HERE to visit the Coley Park Farm Photo Gallery.